Hail, fellow adventurers! 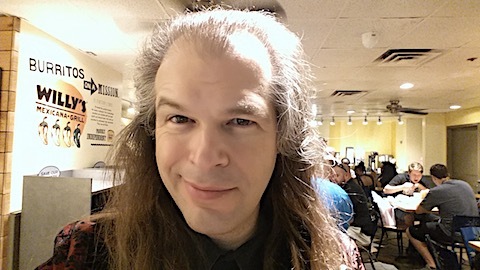 Anthony will be back at Dragon Con again this year and reading Jeremiah Willstone – and yes, the picture above was taken from the very chair Jeremiah was sitting in in “Steampunk Fairy Chick”. Better, almost all the panels have some crunchy steampunk gearworks! Anthony was also scheduled to do a SAM Talk, but it was inadvertently booked over his author reading, so if you attend that, you may also get to hear what was intended to be his SAM Talk, “Risk Getting Worse”. Come one, come all, and hear more about the future of Jeremiah!